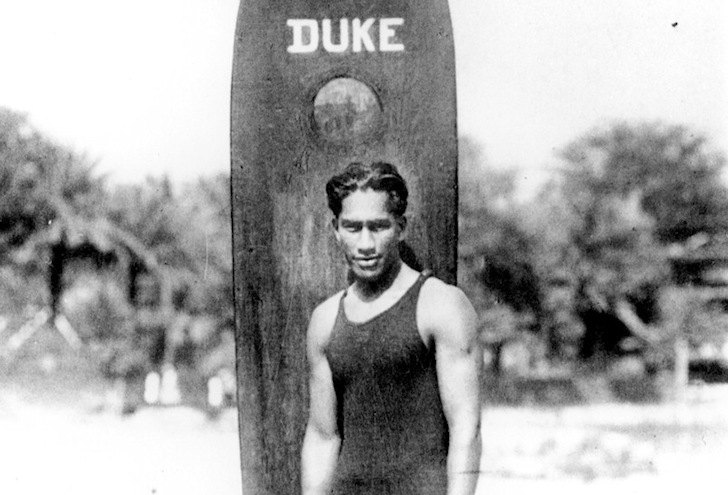 Duke Kahanamoku was one of the most influential Hawaiian surfers and Olympic swimmers to date. Despite the fact that he popularized the ancient Hawaiian sport of surfing, many outside Hawaii have never heard his name before. Born in 1890 when Hawaii was a sovereign nation, Kahanamoku was descended from the rulers of Hawaii Island, the Alapainui. Dubbed “Hawaii’s best-known citizen,” Kahanamoku was one of the most accomplished people in human history. If being one of the best athletes of his time wasn’t enough, Duke was also responsible for saving several lives when a fishing vessel capsized in Newport Beach in 1925. Using only his surfboard, Duke made three trips through the waves, each time bringing more victims ashore. 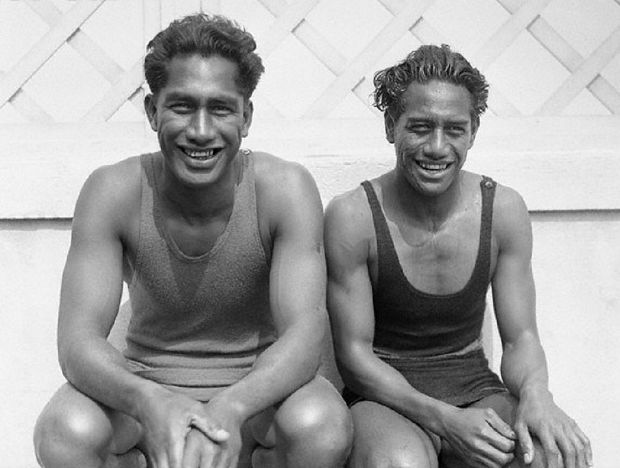 Seventeen fishermen drowned in the accident, but 12 were rescued—eight of them by Kahanamoku. Surfing—as well as other native Hawaiian forms of recreation—had all but disappeared by the time Kahanamoku was born. This was in large part because Western-borne disease had decimated the indigenous population, and partly due to the puritanical influence of homesteading Calvinist missionaries. However, by the time Duke was in school, tourism became the main industry and dictated the political and cultural tone in Hawaii. Surfing then began to flourish in Waikiki Beach and soon became a romantic symbol of America’s newest colony and vacation spot. By 1910, Kahanamoku was the world’s greatest surfer. His riding style was calm, cool and collected, and he would often stand on his head as he approached the beach to woo onlookers. In 1912, he introduced surfing to the American East Coast, showing exhibits in Atlantic City. In late 1914 and early 1915, Duke brought surfing to Australia and New Zealand, drawing thousands of people. Between 1915 and the early 1930s, he was responsible for popularizing surfing in Southern California. 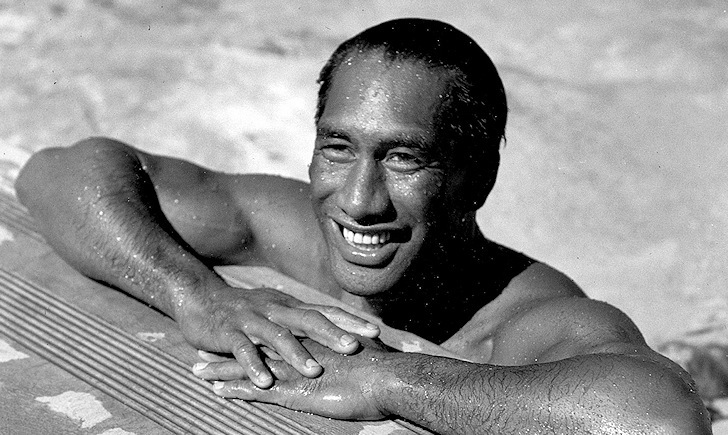 Although Kahanamoku was an accomplished Olympic athlete, he was relegated to playing background and bit “ethnic” roles due to Hollywood’s racism against Asian Pacific Islanders. Kahanamoku once proclaimed, “I played chiefs—Polynesian chiefs, Aztec chiefs, Indian [Native American] chiefs, all kinds of chiefs.” His last roles were in “Wake of the Red Witch” and the movie version of “Mr. Roberts.” True to his quip, he played a Polynesian chief in both films. After seven years in Hollywood, he’d had enough and left the movies behind to run for sheriff in 1932, as a Democrat in Honolulu. Several years later Duke shifted to the Republican party, but he still managed to remain the most popular political figure in Hawaii. Duke was Honolulu’s unofficial greeter throughout his over 20-year career as sheriff until 1961, when he was designated for a paid job as greeter of movie stars, politicians and royalty visiting Hawaii. In 1966 Kahanamoku taught the Queen Mother Elizabeth of Britain how to do the hula. The most interesting man in the world: Duke Kahanamoku or the Dos Equis guy?